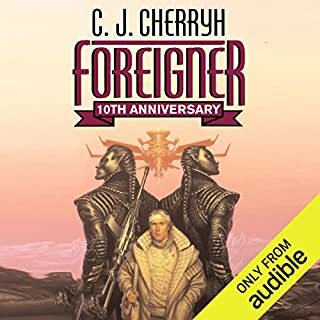 ©2018 C. J. Cherryh (P)2018 Audible, Inc.
Cherryh's last book and this one really should have been one book, judiciously edited. Satisfying conclusions to several problems. Not sure what the next book will be about, though. Enjoyed seeing Cajeiri's maturing thought processes and his ability to operate without Bren, Ilisidi or Tabini. Overall enjoyable. I did not care for the narrator. I could forgive his guesses on name pronunciations (though Cajeiri surely isn't pronounced Ka-ja-REE). But he used a high falsetto for Damiri's voice that almost sounded like mocking. All the atevi from the central district were rendered with heavy accents, as though Ragi wasn't their own language. Worst, Tatiseigi sounded like a ridiculous Count Dracula impression, so bad that I could not at all take him seriously as the refined, powerful political player he is supposed to be. Ended up reading the e-book. I've enjoyed this entire series without exception. Can't wait for the next one, hope it is published soon. In this book, Bren delivers a copy of the alien treaty to Mospheira and books a dorm for the Reunion kids. A man shows up wanting to take one of the vacant lordships. That's it. Honestly Bren should have gone with the new aliens to negotiate a treaty with original Earth. That would have allowed this very long series to go in a new direction and bring in fresh ideas. Instead, Bren breezes through some administrative tasks at home. Seeing his bodyguards' reactions to the island could have been interesting, but it wasn't. They like fried fish. Awesome. Barb is no longer a problem and Bren is 100% happy with being Atevi. He's not interested in original earth at all. The President agrees with whatever Bren says and does whatever he wants with very little fuss. Bren replaces all the officials who oppose him with old friends. All problems solved. 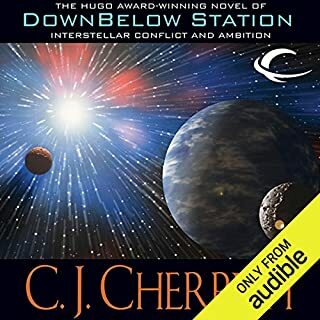 I have never been so bored with one of Cherryh's books. The characters are not genuinely challenged by anything that happens. There is no character development. Cajeri gets new bodyguards and there is some tension at first, but it doesn't lead anywhere. 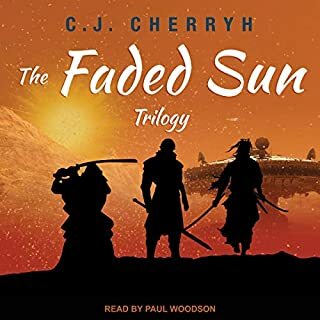 Communication and culture clash are huge themes in this series, but Cherryh loves to sequester his/her characters in a corner by themselves so that they can think and stew and think and rehash and think. They solve their problems with other characters in their own heads, rather than WITH the other characters. This is a redcurrant problem in all of his/her books. Communication requires more than one person! How long does Cajeri spend thinking about how he has to grow up and be responsible? Why not challenge him to do that? Telling his uncle's servant to make tea for his mother because his uncle is asleep is not a challenge. He spends most of the book sitting around, trying not to be bored because the guild is handling everything, and getting involved would just maker their jobs harder. It may be true, but it's not very interesting. This quiet point in the plot could have been a good time for relationship and character development, but it doesn't happen. Lucasi and Vegico's issues with bonding never come up again. None of his guards say anything about his relationship with the human kids. Do we ever see the juniors and the new senior guard at odds over anything? No. There are so many opportunities to develop this group dynamic, and yet the whole group of 8 just fades into the background and may as well not be there. Bren's guards are also starting to blur together. Do they ever have different opinions nowadays? 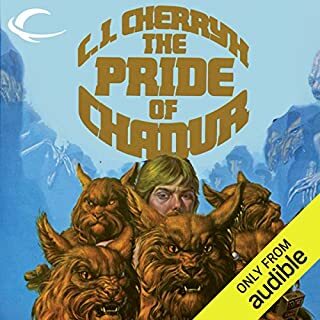 Has Cherryh done anything with Bren and Jago's relationship beyond that one incident with Barb several books ago? Cajeri's family dynamic has potential, but it never goes anywhere. His parents start being nicer to him somewhat out of the blue. I guess this mirrors Bren's refusal to confront anyone in his family and actually address their issues. Can we have some real and satisfying interpersonal conflict please? Again, Cherryh is good at planting the seeds of conflict, but so often doesn't follow through. I would like a resolution to the Barb issue that isn't just "time passed and the author forgot about it." I devoured the last 18 books, but I actually struggled to finish this one. 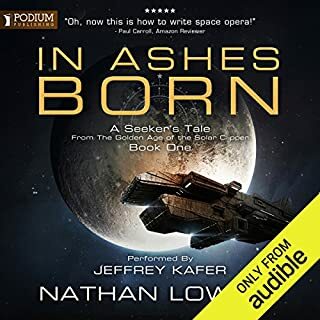 Very difficult to write a review of a single book in this epic series.Ican say though that i am in awe of the narrator [Daniel Thomas May] who has to represent the nuances of different species with difficult names almost constantly and add a feeling for each character. He is of course reading the "script" of the book but impressively so. When i read the printed word its in my head simply as an icon for the character or alien word that i simply have to recognise. The story at this stage of a 19 volume series is often tying up loose ends or catching up on action the main characters were not witness to. In addition if there is no big "event" then its setting the scene for the next volume. I return to each new book because my appetite has been aroused and Cherrhy has drawn characters and societies I care about. Not exactly page turners but definitely book turners! This easily could have been 2-3 chapters in the prior book, or, if you wanted some additional detail, 1/3 of a new book. Performance was good. Never fail to live the foreigner universe.We get to see the young gentleman mature. Can't wait for the next. Don’t bother with this one or the last three books in this series. Every character struggles with circular reasoning throughout every chapter. It becomes dreary, annoying and a waste of tine. One of the most exciting , and heart warming series ever! For those who hope and dream of a kinder, gentler future; not only in space but on the earth as well. What did you love best about Emergence? The scenes of atevi country life are so well done. Best parts of the series. What was one of the most memorable moments of Emergence? Tatiseigi's ride! What a scene! The narrator generally does super job. 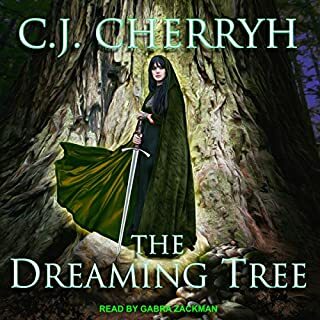 What a great marriage of narrator and story. 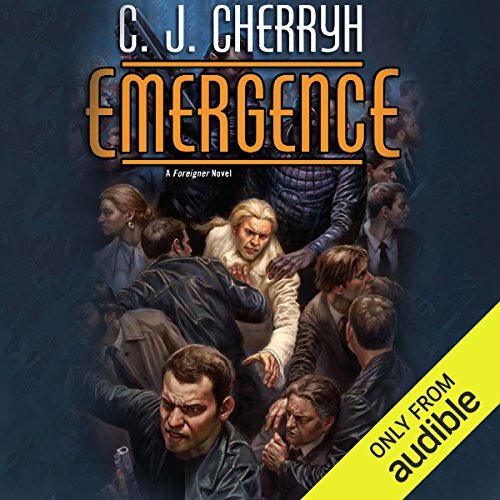 Although I really like the narration in general - in this book (and Convergence), Toby suddenly gets a different voice and a Jersey accent, plus the pronunciation of a couple of proper nouns changes. A little disconcerting. Hurry, C J! Ready for another! Mostly political intrigue with familiar characters. WHERE'S THE DOWAGER?